William Buelow Gould (1801–53), artist. Born in Liverpool, England, Gould arrived in Van Diemen's Land in 1827 as a convict, charged with theft and transported for seven years. Gould's sentence was reduced when he acted bravely during a mutiny on a convict ship. He was a trained artist and was assigned to the Colonial Surgeon, Dr James Scott, for whom he painted detailed water-colour studies of native plants. 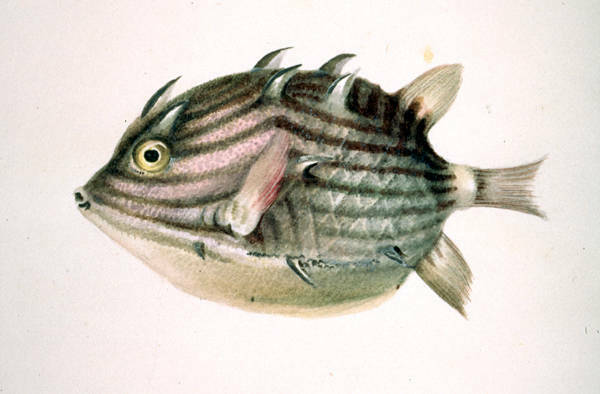 While serving a later sentence at Macquarie Harbour for more offences, Gould painted numerous botanical and zoological studies. Many of these are held in the Queen Victoria Museum and Art Gallery and also the Tasmanian Museum and Art Gallery. In 1835 Gould was given his freedom, but his later life was marred by drunkenness and poverty. Further reading: ADB 1; A McCulloch & S McCulloch, The encyclopedia of Australian art, London, 1994.